Chris Isaacson Presents and the Hilton Los Angeles/Universal City have announced NEW YEAR’S EVE 2016: A POP ROCKIN’ CELEBRATION with special guest pop icon Belinda Carlisle and also starring Frenchie Davis, Rogelio Douglas Jr., David Hernandez, Maya, and Jake Simpson, performing hits from the 80s to today as well as fresh arrangements of favorites from the Great American Songbook and classic rhythm and blues. The festivities will begin at 7pm in the Hilton’s elegant Sierra Ballroom. The evening will be a return to the traditional supper club experience. 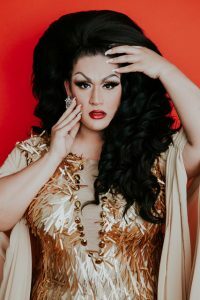 Ticket packages give guests the option of a four-course dinner, pre-show artist meet and greet, premium top shelf bottle service at tables, or simply a ticket for the show. Regardless of the package, all patrons will have access to the Sierra Ballroom’s large dance floor, live concert entertainment, full bar, celebratory champagne toast, party favors, balloon drop, and much more. Tickets are on sale now and prices range from $87—$325. 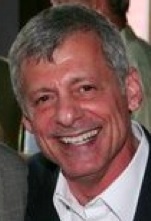 Purchase online at www.TicketWeb.com and www.ChrisIsaacsonPresents.com, or via phone at (866) 468-3399. For guest room reservations at the Hilton Los Angeles/Universal City for New Year’s Eve, call (818) 506-2500, extension 1. Use code NYEPR. 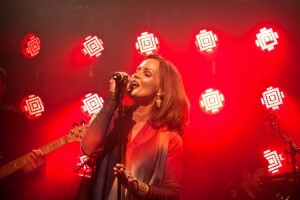 PHOTOS OF BELINDA CARLISLE COURTESY OF CHRIS ISAACSON PRESENTS.